Papua New Guinea will sign the Free Trade Agreement as soon as the leaders resolve some of the outstanding domestic trade-related issues. Incumbent chair of the Melanesian Spearhead Group (MSG) and Prime Minister Peter O’Neill said this in his address during hand over take over with Solomon Islands Prime Minister Rick Nelson. Mr O’Neill said MSG has already made great inroads into sub-regional trade through the MSG free trade agreement. The signing of this agreement by some of our member countries is a milestone achievement. He called on all leaders to work together to strengthen Trade and Sustainable Development – for an inclusive Melanesia. “Papua New Guinea will be signing the free trade agreement as soon as we resolve some of our domestic trade-related issues. 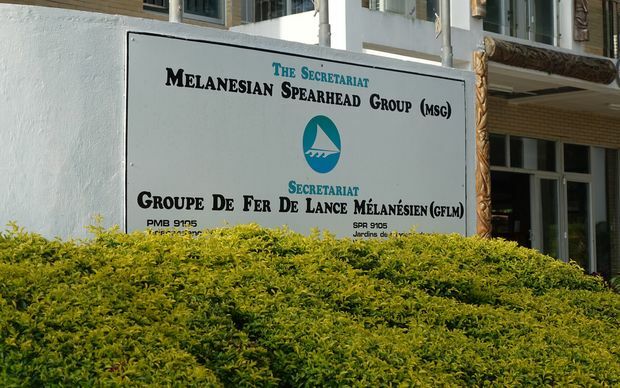 “MSG has stood the test of time, and in solidarity, we continue to honor the Melanesian spirit of consensus as is contained in our establishing agreement. “This agreement forms a solid foundation which guides the work of our organisation well into the future. “The theme for this year’s summit is strengthening Trade and Sustainable Development – for an inclusive Melanesia,” he said. “The theme reminds us as MSG members –we all have a responsibility in advancing our shared future. “We all have responsibility to work together we to achieve our goals and objectives for all our countries.